Your personal information is just that – personal, so we always treat it with the highest standards of security and confidentiality, and rest assured, we never pass on, sell or swap your information with any other company for their own marketing purposes. We are committed to looking after your data and we will always put you first. Your information allows us to update you with news at the gym, programming, events and any other information that may be of interest to you. 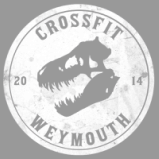 If you have not joined the gym as yet, your information allows us to educate you on CrossFit, the gym community and how you can get started at CrossFit Weymouth. If you already receive our marketing communications, we’ll continue to send you these unless you ask us to stop. We hope you enjoy hearing from us just as much as we enjoy putting our updates together, and we promise never to bombard you with too many communications. If you would like to exercise any of these rights, please get in touch with us through our inbox (crossfitweymouth@outlook.com). Please note that we may ask for proof of identity before providing or updating any personal information we hold about you and if we have a legitimate reason as to why we are unable to fulfil any requests, we will always explain the reasons why.